Have you ever led a social organization or directed a project with a global reach? If so, you probably know that impact project management at scale can get complicated, requiring a refined social impact measurement process. Complicated in the sense that there are a lot of moving parts, upstream and downstream, from beginning to end of the project. 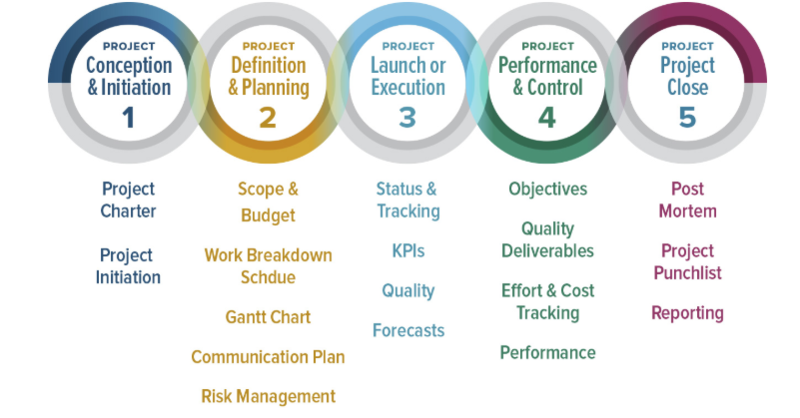 Project management tends to be broken down into 5 steps: Initiation, Planning, Execution, Monitoring/Control, and Close. In the impact-focused world, our true north will always be those beneficiaries for whom we seek to create positive, long-lasting change. Thus, even when faced with resource constraints when managing projects, that guiding factor plays an important role in decision-making. Often, this makes decisions much harder. Given these 5 steps as a base to think about project management, as well as the impact-oriented perspective, let’s examine those elements which are essential to being successful at balancing both project and impact. Your stakeholders are those people and other entities that are affected in any way by the execution of your project. They have varying levels of influence over the project, but the idea (in very simple terms) is that their existence has or could have some material effect on your activities and outcomes. The tip here isn’t to get to know who those stakeholders are while running the project. This needs to happen before. 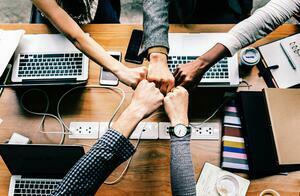 In the feasibility process you conducted at the outset of a project, there should be a focus on not just mapping those players in the ecosystem -- from beneficiaries, to investors, to employees -- but also the extent that each needs to be engaged during the project, and if necessary, empowered, and how that all might be done. This will help you plan for (and potentially mitigate) the emergence of certain scenarios involving any of these stakeholders along the way. That way, you’ll be better positioned to execute a successful impact project at a global scale. There are countless project management tools, techniques, theories, software applications, etc. Here’s a list of 40+ tools to get you started. Unfortunately, most don’t come equipped with the necessary features to facilitate an impact management journey: built-in impact metrics, reporting tools for the impact sector, etc. Do a little digging and find those frameworks, like the Sustainable Development Goals, that can help guide the management of an impact project (i.e. the right metrics language!). 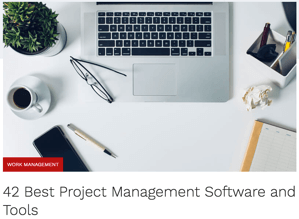 Then, with a bit more research you’ll find there are indeed project management tools on the market for companies and projects, large and small, focused on impact. In other words, there is no need to design something elaborately your own, to reinvent the wheel. A key step at the end of any impact project is the reporting that needs to take place. A global project will especially have lots of data (and hopefully positive outcomes) to communicate. Sopact’s Impact Cloud is a tool that can facilitate such analysis with built-in filters for a variety of reporting languages, including the Sustainable Development Goals. With such tools, project managers can then better align their impact reporting to the SDGs in order to demonstrate how the project has impacted the relevant indicators on a global scale. Focus your Social Impact Assessment efforts on executing processes not designing the tools necessary to do so. In all likelihood, they already exist! In 2007, the iPhone was introduced for the first time. Surprising? It feels as if smartphones have been around forever. Their ubiquity across the world and how integrated they are into our lives feeds into that understandable illusion. What this also means is that even the most remote of users are now likely connected in some way, even if it’s simply through an SMS messaging service, which social enterprises like WeFarm use as the foundation of their business. Remember in tip 1, when we talk about empowering stakeholders? Leveraging technology is often the best way to do this, whichever the stakeholder, and whatever the stage of your project. In the first stage, conducting feasibility studies will mean communicating with and collecting insights from those beneficiaries. How will you do that? In the second stage, it could be helpful to have some risk management software to ensure you have meaningful analyses to share with your investors. In the third stage, how are you going to empower your employees to track your KPIs in a timely and relevant manner? In the fourth stage, what technology do you have in place to ensure that your monitoring processes are working? Can project managers access this data in real-time? In the fifth stage, what software are you going to use to generate the appropriate charts and other visuals to communicate the results to the public at large? Notice a pattern? At every level of this impact project management process, and across the stakeholder spectrum, there is a need for efficient, effective use of technology. Many social enterprises, especially non-profits, struggle with such digital expertise. One way Sopact solves this issue, especially if you are managing a global project, is its Impact Cloud which combines the impact management process onto one platform. You can house that stakeholder information. You can give them access. You can manipulate data. You can leverage this one piece of technology to streamline impact management project on a global scale. And you can start today, join our next product webinar.